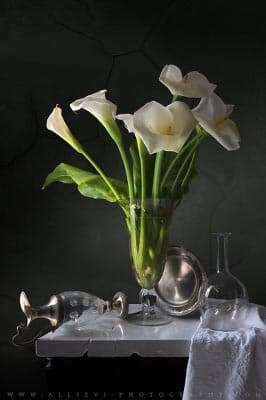 A still life photograph of Calla lilies in a glass vase. 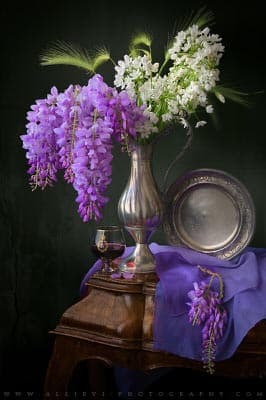 A still life photograph of Wisteria and Allium ursinum flowers. 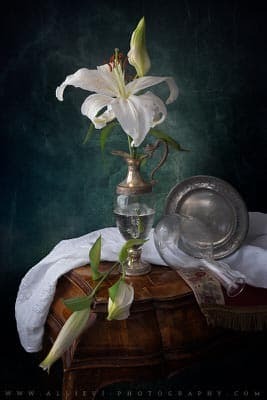 A still life photograph of liliums flowers. 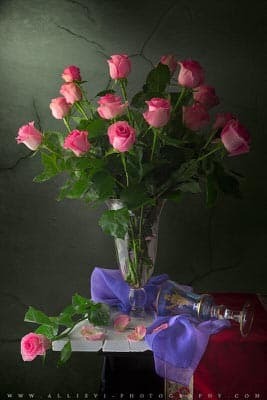 A still life photograph of roses blossoms in a glass vase. 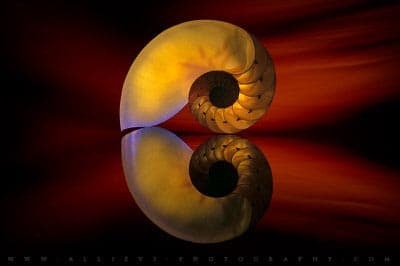 A still life photograph of a Nautilus shell. 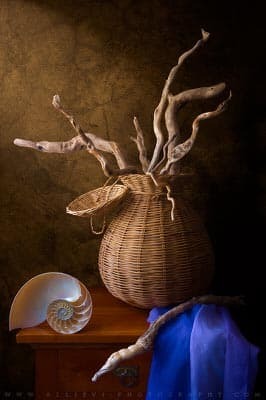 A still life photograph of driftwood and a Nautilus shell.